Pride of Ownership! ~~ 1948 mid-century modern rancho located just off Christmas Tree Lane. 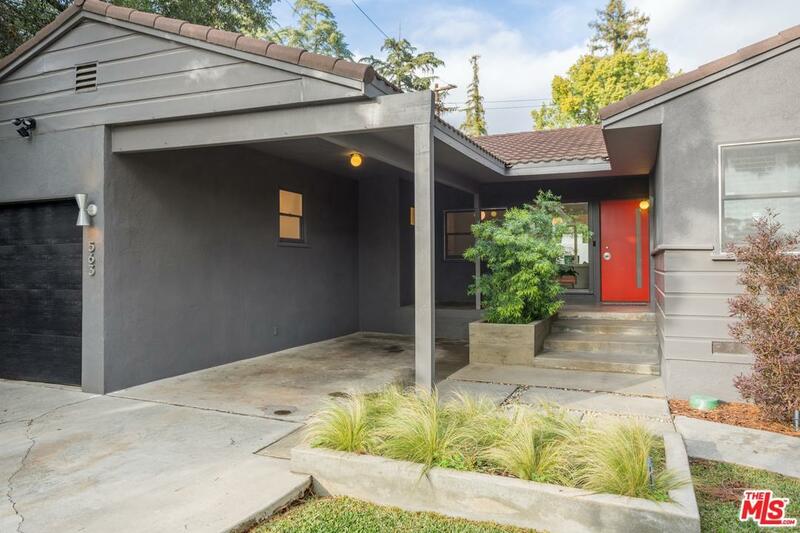 Located on a private cul-de-sac street, this home features 2 beds + 2 baths with lovely mid-century modern attributes and a pride of ownership demonstrated. The living room will inspire with it's wall of glass taking-in northern exposure while inviting you to the outdoors. Spacious eat-in kitchen w quartz counters and stainless appliances including gas range with a formal dining room comfortably seating eight. Front bedroom windows with plantain shutters. Converted garage with operational door, great for a studio or when you have out-of-town guests. An entertainers backyard with grill/hearth, flagstone, and hard-scaping is the perfect private retreat. Many mid-century attributes throughout this updated ranch.